Kutaisi is the second city in Georgia. It is located in the central part of western Georgia, some 220 kilometers west of Tbilisi on the banks of the river Rioni, at an altitude of 125-300 meters above sea level. Kutaisi was the capital of the ancient Kingdom of Colchis. Archeological evidence indicates that the city functioned as the capital of the kingdom of Colchis as early as the second millennium BC. From 978 to 1122 CE Kutaisi was the capital of the united Kingdom of Georgia, and from the 15th century until 1810 it was the capital of the Imeretian Kingdom. One of the oldest cities of Transcaucasia, it served at various periods as the capital of successive kingdoms in Georgia: Colchis, Iberia (Kartli), Abkhazia, and Imeretia. The city is truly rich in historical and cultural sights. The most famous of Kutaisi's many splendid buildings is the majestic Church of King Bagrat, which was built at the beginning of the 11th century. In the environs of the city, at the foot of low forest-covered mountains stands another well-known monument of Georgian architecture, the Gelati Monastery, founded in the early 12th century. Other sights are the Motsameti monastery, Geguti Palace, Sataplia and Navenakhevi caves. The Ethnographical Museum of Kutaisi keeps about 146.000 artefacts. The exhibition starts with the department of palaeontology and ends with the nineteenth century cultural heritage, large collections of unique rarities many of which date back to prehistoric times of human life, as well as richest deposits of ancient handwritten Georgian books. There are famous caves of Sataplia, Navenakhevi and Kumisi near the city. These caves possess unique features, including dinosaur footprints. In the area other sights are worth a visit. Vani, Tskhrajvari, Khoni are famous for their canyons, waterfalls caves, vertical caves and underground rivers. The climate in Kutaisi is humid subtropical. The summers are generally hot and relatively dry while the winters are wet and cool. Kutaisi is close to high mountainous areas. Georgia starts construction of new governmentt buildings in Kutaisi. A new parliament, other government buildings and enterprises will open in 2011. 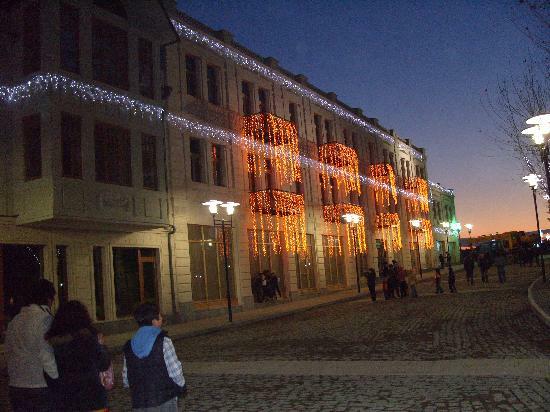 A renovated opera building opened in Kutaisi in december 2010. The building's infrastructure, interior, stage and front were fully renovated. From 2012 the parliament of Georgia will move to Kutaisi city, which will prove the city's status as the second capital of Georgia. The existence of a free industrial zone and relocation of different government structures to Kutaisi city will improve the local investment climate. I arrived in Batumi on an August afternoon so hot the buckling pavement shimmered. The coach bus that had carried our group of fifty English teachers from our orientation site in central Georgia to our new home base on the country's Black Sea coast parked next to a sturdy-looking restaurant of stone and wood, directly overlooking the water. We tumbled out wide-eyed and took pictures of each other embracing stubby palm trees. Next door, a two-story home with a Dutch-style windmill tacked on one side seemed out of place. The sign out front read "Showgirls." Dazed by the heat and a little perplexed, I climbed the stairs to the restaurant's balcony for lunch. Our program directors had elected to give us our first taste of ajaruli khachapuri, the culinary pride and joy of this, the Ajara region. Waiters in traditional costume presented each of us with a "bread boat" holding a molten lagoon of cheese and butter with an egg cracked in the middle. As I leaned over my plate to break up the egg and butter, a bead of sweat slid down my cheek and was lost amid the steaming cheese. Somebody asked for a salad. Easily the country's most ubiquitous dish, khachapuri can be found in nearly every house, restaurant, and street stall in one variation or another. Ajaruli is the most elaborate and least common of them. 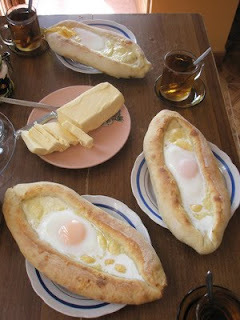 More often you'll see imeruli khachapuri (flat, round pies with salted cheese sealed inside), or megruli khachapuri (the same, but with another layer of cheese melted on top). Streetside bakeries prepare smaller versions that can be held in one hand. The best are encased in flaky puff pastry and baked on the walls of an earthen kiln instead of an oven. My host mother Shushana bakes hers in a toaster oven she sets on the balcony, stringing the electrical cord though the kitchen window. Her four-year-old grandson Dato likes to "help" her prepare it: he pounds on the table, sings, and eats the cheese as she grates it. The boats come out of the oven fragrant and bubbling, their rims blistered to golden perfection. Eating them neatly with a fork and knife requires a dexterity I haven't yet mastered, and my hapless attempts send the whole family into fits of giggles as they rush to rescue my meal. "Stop, stop, the inside will escape!" my host father Misha cries, pulling my plate toward himself. He demonstrates how to cut out pieces from the inner side of the rim without piercing the bottom of the boat, thereby keeping the cheese mixture trapped inside for as long as possible. Once the cheese, butter, and egg have solidified slightly or melted into the bread itself, a leak no longer threatens to spring. I recently returned to that same beachside restaurant with newly arrived foreign guests, proud to introduce them to this specialty of my adopted home. We sit on the same balcony and watch the palms toss in a chilly breeze over the gray sea. When the waiter brings out four steaming cheese boats, I can't imagine anything more appealing. This is comfort food at its hearty, gut-warming best. Ajaruli Sakhli (Ajara House) restaurant: 10 Khimshiashvili Street, Batumi Getting There: You can fly directly into Batumi International Airport on Turkish Airlines, Georgian Airways, or Aerosvit Airlines (Ukraine). Trains operate between Tbilisi and Batumi nightly, with a daytime train also operating on even-numbered days. Buses run regularly from Istanbul to Batumi, and a painfully slow ferry operates from Odessa in good weather. You can catch a crowded but cheap ride to Batumi from just about anywhere in Georgia via minibus ("marshrutka"). food writer and English teacher currently based in Batumi, Georgia. She blogs at Gusto: Eating with Pleasure. There can be few more magical places in which to spend your Christmas or New Year's holidays than a snowy ski resort – guaranteeing you a white Christmas and New Year Eve. Still, choosing a destination for your ski trip can be confusing, particularly in Georgia when one takes into consideration the fact that there are now three ski destinations to choose from. Traditionally, Gudauri in the Greater Caucasus and Bakuriani in the Lesser Caucasus were the two major alpine resorts for Georgia's winter tourism industry. However, starting from 2011, Mestia has emerged as a rival to the established destinations with its year-round ski resort in the high mountainous region of Svaneti, in the Caucasus Mountains. Christmas week is considered the peak season for these resorts with visitors flocking to them to ski over the New Year and Christmas holidays. So to secure accommodation in any of Georgia's ski resorts, be prepared to pay more and book earlier than usual because almost all hotel rooms are likely to be booked for the Christmas period. "Georgian winter resorts are fully loaded for the Christmas period," Kakhaber Gagloshvili, the Director of Info Tbilisi Travel, a local travel agency, told Georgia Today in a brief interview. "Every day we receive local and international calls from tourists asking for tour packages, but unfortunately there is not a single vacant room in all three resorts' hotels and guesthouses." According to him, the reservation of rooms started a month before the season. Maka Tabidze, 26, was lucky to reserve a group tour package in Gudauri last month. She says that going in a group is usually a lot of fun. "My friends and I booked as early as possible to ensure that there would be sufficient accommodation available and that we could all stay in the same place," she explained. "Gudauri is best for amateurs and my group of five people plans to participate in an amateur Ski Championship in January," she added. Experienced skiers can also find impressive opportunities in Gudauri with a slalom, a giant slalom, speed skiing and heli-skiing. The total length of its ski route runs to 25 km. The resort is one and a half hour's distance from the capital by car. Bakuriani is famous for its pine forests and is suitable for any experienced skier as well as beginners, amateurs and professionals. Here the mountain slopes remain covered in snow for 4-5 months providing great opportunities for snowboarding. Bakuriani is two and a half hour's drive from Tbilisi by car. While in Gudauri, the first, lower station is 1,990 meters above sea level and the upper station, known as Kudebi (Tails) is at 3,007 meters, in Bakuriani, the highest point used for skiing is Mount Kokhta (Smart), around 2,200 meters above the sea. Bakuriani is also a favorite for families with kids. "There's no time of year that's better for a family holiday than Christmas and no better place to spend a winter break than Bakuriani. My kids want meet the Georgian Santa Claus, or as he's also called, Father Christmas," says Tamuna, 34, who plans to see in January 7 - Orthodox Christmas - in Bakuriani and has booked a four night Bakuriani holiday where her whole family can enjoy the skiing in addition to a range of other winter activities. "My kids believe that Father Christmas lives in the snowy mountains and they want to see his house," said Tamuna laughing. As for Mestia, it is 480 km away from Tbilisi, 9-10 hours travel from the capital by car. It emerged as a rival to Bakuriani and Gudauri only last week and plans to receive its first winter tourists on 1 January, 2011. Here the newly-constructed lift station is 1500 meters above sea level surrounded by 3,000–5,000 meter peaks. Heli-skiing and summer skiing on the high peaks is likely to attract many skiers from around the world. A day's skiing in Mestia costs 80 lari per person. Since the highland resort is difficult to access in wintertime, a new airfield was constructed in Mestia, and opened by President Mikheil Saakashvili on December 24. 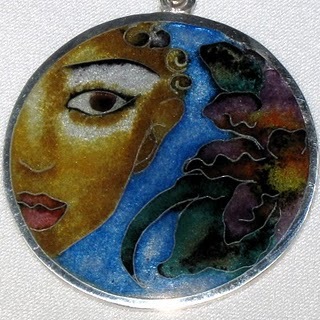 Mestia is one of his favorite projects – he personally unveiled the launch of the initiative in January 2010 calling the project a "tourism miracle." Nino Chubinidze, Sales Manager at Tetnuldi Hotel in Mestia welcomed the construction of the airport in Mestia in a telephone interview with Georgia Today. "It was impossible to invite visitors to Mestia in winter because there was no road and no airfield, [so I] hope that after opening the new airport, Mestia will attract interest from domestic and foreign visitors in winter." The price for a return ticket to Mestia from Tbilisi is 150 lari. The major hotels in Svaneti include the Mestia, Ushba, Tetnuldi, and Svaneti hotels which can accommodate 400-450 people. There are also 50 guesthouses which can hold 250-300 tourists in total. Moreover, there are the same two choices of accommodation on offer in Bakuriani and Gudauri. On average, hotels cost $ 70-200 per person per day. Skis are available at 25 lari per day or 10 lari per hour; you need to pay 100-150 lari per hour for a Buran (snowmobile) and a trip by horse will cost you 50 lari per hour. In order to get the word out that the winter resorts are indeed welcoming travelers with open arms, the government has been working on campaigns to help kick-start this season. Maia Sidamonidze, Head of the National Center for Tourism, told Georgia Today that Music Festivals, Ski Championships for skiers of all abilities, and other entertainments are planned for this season. "Furthermore, tourists from Ukraine together with Ukrainian musicians will visit Mestia between January 7-8 when we're hosting a fantastic entertainment program," she added. Meanwhile, industry insiders are looking at the sky and to the 2011 calendar for more snow and more visitors. TBILISI, GEORGIA - Tbilisi city hall starts reconstruction of one of the oldest districts of Tbilisi. The houses constructed in XIX century and the old churches still stand on this place, many of the old houses are the best samples of old Tbilisi architecture. Tbilisi city hall intends to do everything to maintain and upgrade this district. The restoration works by Tbilisi city hall will be launched on February2, within the limits of the project the reinforcement of the houses in the lower Kalaubani will take place. The old buildings will be roofed with the high quality sheet metal and roof tiles, the yards will be fenced with break fences characteristic for old Tbilisi, open glass balconies will be arranged, the water and sewage pipes, drainage lines will be totally changed, new outdoor lighting will be installed. The underground communications in all yards will be replaced. Above all the old picturesque image will be fully kept to Kalaubani. The city government will fully cover the expenses for reconstruction rehabilitation. Kalaubani borders Tbilisi center and consists of two parts –lower and upper Kalaubani. One of the oldest and picturesque street of Tbilisi-Davit Aghmashenebli avenue will very soon be upgraded. According to the agreed plan on the prospective development of the city, Tbilisi city hall launched the rehabilitation works of Aghmashenebli avenue. The project envisages the reconstruction of the area from Queen Tamar avenue till Zaarbruken square. The art critics and architects researched the area, the constructors and geologist studied the physical condition of the buildings and the construction works were launched on some of them already, after the research it turned out that some of the houses were in an extremely awful conditions. Each of them needed base reinforcement, framing of the windows and a lot more. After all the works the plastic detail, façade restoration and roofing with rust resisting metal sheet is planned. The first stage of the works cover restoration of 70 houses from Queen Tamar avenue till Marjanishvili square, 30 houses are already under the reconstruction process. If need be the entrance doors on Aghmashenebekli avenue will be restored , new outdoor lighting system will be installed, the sidewalks will be accommodated with the tiles.Natural gas pipes and landline cables will be placed underground. The gardens and squares will be verdurized and upgraded. Very soon all deteriorated houses on Aghmashenebeli avenue will belong to the past and old Tbilisi will come into a new life. Georgian Agency for Tourism and Resorts estimates that more than 3 million tourists will visit Georgia in 2011, informs "The Echo of the Caucasus"
At today's press conference, the head of the agency Maya Sidamonidze confirmed that active work in this direction will continue. We Will work to promote Georgia on the international tourism market, as well as to develop domestic tourism potential. According to Sidamonidze the agency plans many large-scale projects next year to improve skills of people employed in the tourism sector and promote small and medium-sized businesses. The Agency intends to develop long-term sustainable strategy for tourism development in Georgia. These days travel company Exotour offers special to celebrate New Year in Tbilisi Old City Tamada Restaurant . Georgian Restaurant Tamada with old Tbilisi interior, stone fireplace Tone (bread baker), Factory for chacha distillation, traditional cuisine (khinkali, shashliki, khachapuri, saczivi, phkhali, skmeruli). Special Exotic Menu: you can join in the Vodka distillation, preparation of Churchxela, tasting hot bread from Tone, tea from cattle with the wine Saperavi. Georgian live music at the evenings, according to your desire Exotour will invite national children dancers and polyphonic Georgian folk singers. Few days ago I published snapshots from a satellite showing Georgian village Tamarasheni before and after Russian invasion of Georgia in South Ossetia (Samachablo) region. On this video above you could see how it actually looks likes from the ground. Video was taken by separatists and their Russian sponsors from a car. They took a tour around "Tskhinvali suburbs", probably to refresh memories of their "glorious victory against Georgians" two years ago. No Georgian is allowed to be there... and the village as you can see, doesn't exist anymore. Silence and few comments in Russian from those who were shooting this video. Even for invaders this view of devastation and death in a former Georgian village Tamarasheni seems too extreme... Do they understand why they did it? For what? First plane, driven by Georgian president landed in Queen Tamar Airport in the country`s mountainous region of Svaneti on Friday. The runaway of teh airport is 1110 kilometres. The airport complies with contemporary standards. It has high level security systems and is able to receive passengers in all weather conditions. 1563-kilometer ski track also opened in Svaneti today. Georgian President was first who skied down the track. Vice Premier and Finance minister also followed him while the PM and other members of the government ascended the track by ropeway. The tourist infrastructure in Svaneti similar to leading European resorts was constructed by Laitner Italian Company. A 9-kilometre highway is leading from the Mestia airport to the ski track. Ski season in Svaneti lasts from November to May. Tourists visiting Mestia will be able to plan their routs through the region via the tourism centre in the region. Georgian president viewed the ongoing reconstruction works in Svaneti on Friday. Facades of homes and Svanetian towers have been refurbished, water supply system and street lights have been changed in the region. Along with the air transport infrastructure, motorways are also being constructed in Svaneti. Concrete cover has already been laid on half of Khaishi-Mestia highway. A few weeks ago, I wrote a column about sparkling wines to enjoy during the holidays. One of the wines I recommended was a very interesting sparkler from Georgia -- the country, not the state. Since then, I have received more than a few e-mails from readers who tried (and liked) the wine, as well as from consumers who thought I must be pulling their proverbial cork. One reader, Lawrence S., of Arlington, wrote, "It was with great skepticism that I read about your recent wine recommendation from Georgia. I thought you must have certainly been mistaken about the place of origin. After all, Georgia is known for either peaches or proletariats, but not fine wine." The reader, of course, was referring to the lovely Bagrationi 1882 Non-Vintage Classic Extra Dry sparkling wine that I suggested readers pop open for New Year's Eve. And no, it was not a mistake. Georgia makes wine. As a matter of fact, Georgia is one of the oldest wine-producing regions in the world. According to Nicholas Krivoruchko, the importer for the Bagrationi brand, "The word 'wine' itself comes from the Georgian word 'gvino,' which the Romans shorten to 'vino' and the French shortened to 'vin.' " He is also convinced that the Roman invaders learned their winemaking techniques from the Georgians and took the methods back to Italy. There is some evidence to back up some of Nicholas' claims. Ancient winemaking objects, including clay amphorae that date back to around 5000 B.C., have been discovered in the area that is now Georgia. In addition, the area now boasts more than 500 grape varietals -- many of which are only found in Georgia. These grapes thrive in the rich, alluvial, soil-laden valleys nestled in the shadows of the Caucasus Mountain range. The area also shares the same "viticultural latitude" as other well-known wine-growing regions, such as the Piedmont appellation in Italy, the Rhone Valley in France and the Rioja region in Spain. The temperate climate provides warm, sunny days and cool nights that allow the grapes to develop firm tannins and great acidity. Fortunately, a young military officer, Ivane Bagrationi, saw the potential of his homeland. Following the Napoleonic Wars, Ivane retired from the army in 1881 and devoted his time to learning how to make sparkling wines in France. He brought his newfound skills back home where he married the Methode Champenoise -- a method of producing sparkling wine in the bottle -- with the indigenous grape varietals of his homeland, and the result was the Bagrationi 1882 brand. 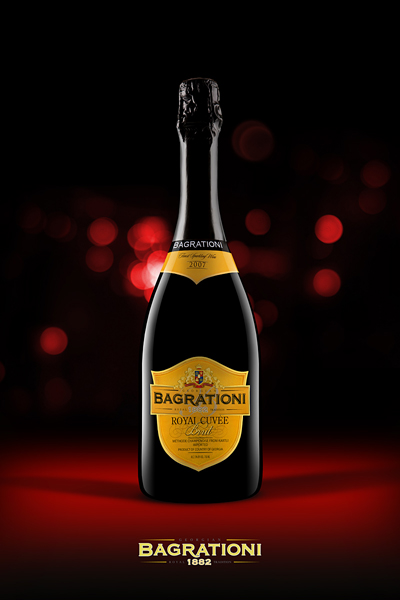 Today, Bagrationi 1882 makes four sparkling wines for the export marketplace. These wines offer a completely new -- and delicious -- opportunity to discover unique grape varietals from one of the oldest wine regions at a reasonable price. When I sat down with Krivoruchko to taste through the Bagrationi 1882 portfolio, I also learned the Georgians prided themselves on hospitality and toasts (Krivoruchko is convinced that the custom of toasting also began in Georgia, but that, without carbon dating, cannot be substantiated). However, I will toast to the health of the Georgian wine industry. Retail prices are approximate. This is the wine I originally mentioned. It is made from indigenous varietals of chinebuli, tsitska and mtsvane using the Charmat Methode -- by which the secondary fermentation occurs in large tanks instead of in the bottle. This wine is full of bright citrus, golden melon and ripe pear flavors. It is completely dry on the palate with medium-size bubbles. It would be an excellent choice for grilled seafood dishes. The fruit, from the Kartli, Imereti and Kakheti wine districts, was handpicked, hand-sorted and whole-cluster pressed, then fermented on the lees in stainless steel tanks at cool temperatures and carbonated via the Charmat Methode. Scents of melon and citrus are found on the nose, while flavors of green apple, nectarine and honeydew melon are carried across the palate on medium-size bubbles. Just a touch of ever-so-slight sweetness gives the wine good depth. Made from a blend of chinebuli, mtsvane and tsitska grapes that were hand-harvested, -sorted and -fermented in the classic Methode Champenoise to produce an elegant sparkling wine at an affordable price point. The nose produces scents of ripe apricot and white nectarine. The wine is well-balanced with flavors of apple, pear, peach and apricot that are delivered across the palate by delicate bubbles. The flagship of the sparkling lineup is also made with the Methode Champenoise. Aromas of lemon-lime, melon and apple fill the bouquet. Flavors of apple, nectarine and orange blossom are prominent throughout the palate, while the crisp, refreshing finish features additional citrus notes. 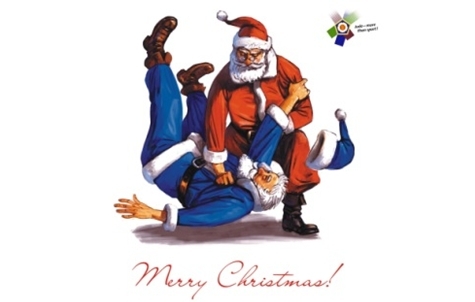 Judo National Federations are requested to inform the Georgian Judo Federation on participation and submit the final inscription form by January 17th, 2011. 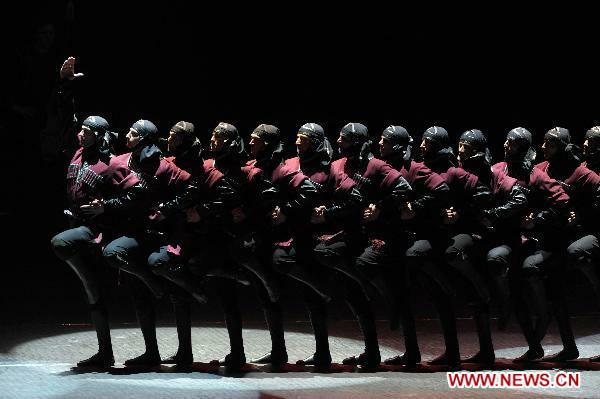 Ballet dancers of Georgian National Ballet "Sukhishvili" perform at a theater in Tbilisi, Georgia, Dec. 23, 2010. 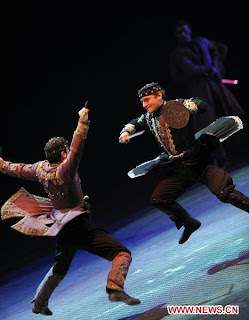 The Georgian-style ballet is originated from its time-honoured folk dance with performers swooping in the air or whirling around the tip-toe. Their unique and magnificent performance has become widely known in many parts of the world. A Nordmann fir tree for sale at a German Christmas tree market: Georgia is a major supplier of seeds for Nordmann firs. Local people risk their health and often their lives for a pittance every year in the mountains of Georgia so that families in Germany and other European countries can celebrate Christmas under sweet-smelling fir trees. Now a Danish organization is trying to make the business safer for workers. Dato Chikhardze sets a plastic canister of water down beside his rusty Lada in front of his brick house. He has just drawn the water from a nearby river. Life is basic here in the mountains, and living conditions are tough. Dato, 44, is one of the lucky ones: He has a full-time, if low-paid, job as a teacher at the village school. Only 22 out of 300 residents in the village of Tlugi have full-time jobs. Every September, three months before Christmas, Dato and the other men from the village set off to make a little extra money. They go into the remote mountain forests around the small city of Ambrolauri to pick fir cones. The seeds from these cones are bound for Europe, to be grown into stately Nordmann fir trees that will eventually enhance the Christmas celebrations of wealthy Europeans. Well over half of all fir seeds that become household Christmas trees in countries such as Germany, Denmark and Great Britain originate in Tlugi and other villages here in northeastern Georgia. Georgian fir cones are considered to be especially high quality because they produce tall, long-lasting trees with soft needles. Christmas tree sales in Europe amount to €2 billion ($2.6 billion) annually -- the business generated €700 million in sales in Germany alone last year. It's a highly competitive market, and one that wouldn't be nearly as profitable without Georgian fir cones. Seven to 10 kilograms (15 to 22 pounds) of Nordmann fir cones are needed for a single kilogram of seeds. Middlemen in Georgia sell these for around €25 per kilo to foreign companies, who in turn resell them in Europe for more than €100 per kilo -- 50 times the amount earned by workers like Dato. A winding road leads up the mountain to the woodshed where Dato and the other cone pickers deliver their haul every evening during the harvest season. They earn one lari, about 42 cents, for every two kilos of fir cones. In a good year, Dato brings home €1,000 -- four times the amount that he and his wife, also a teacher, earn together in a month. The pay for a grueling 12-hour day of resin-stained hands and scratched faces is so enticing that hundreds of migrant workers descend on Ambrolauri at harvest time. The huge number of outsiders lowers the per-kilo price -- bad news for Dato and the locals. The workers put their health and sometimes even their lives at risk as cones only grow in the treetops, and the highest firs can reach 30 meters (100 feet). "I've slipped so many times that I've lost count," says Dato, who also once broke a rib. Eight years ago, he lost his friend Shora during the harvest season. "His brother showed up at our door one evening, worried because Shora hadn't come back," Dato remembers. The next morning, they found him dead at the foot of a fir tree. Dato's wife was sick with worry that her husband might meet the same fate, so Dato invested in safety equipment. Most of the fir climbers, however, simply can't afford expensive ropes and harnesses, nor do buyers provide any safety equipment for their pickers. It seems that Christian kindness has clear limits even in the business of Christmas. There is stiff competition between international investors for usage rights to every section of the Georgian forests. Licenses are sold at auction and, rumor has it, assigned with mafia-style methods. Many Danish tree nurseries work with the Georgians -- a white logo from a Danish company hangs in Dato's woodshed. One of these nurseries is currently planning to grow a politically correct fir: "A Christmas tree that European families can put in their living rooms with a clear conscience," is how Marianne Bols, the founder of the "Fair Trees" initiative, describes it. Bols wants to see "more transparency in the Christmas tree business," as well as socially responsible production and better working conditions for the Georgian cone pickers. The Danish organization has distributed more than a dozen sets of safety equipment in the region and provided health and life insurance policies for 30 workers as part of its "fair fir" project. Still, it will be some time before the first Georgian fair-trade firs hit the market, since it takes seven to 10 years for a seedling to grow into a Christmas tree. Dato believes "there's something wrong with the world, when we're living in poverty and others are making huge profits." He wants to give his wife a bottle of perfume for Christmas this year, and will have to drive seven hours to Tbilisi to get it. There Dato will be able to see the new luxury shops, which have recently started selling imported Danish Abies nordmanniana -- Nordmann fir trees grown from Georgian seeds. A two-meter (six-and-a-half-foot) tree here costs the equivalent of €125 -- twice as much as it costs at some German Christmas tree markets. The Tbilisi International Film Festival (TIFF) is one of the most important cultural events in Georgia. It was founded by the Prometheus film arts centre in 2000. It receives financial support from the Georgian Culture and Monuments Protection Ministry, Tbilisi city hall and the Georgian National Film Centre. 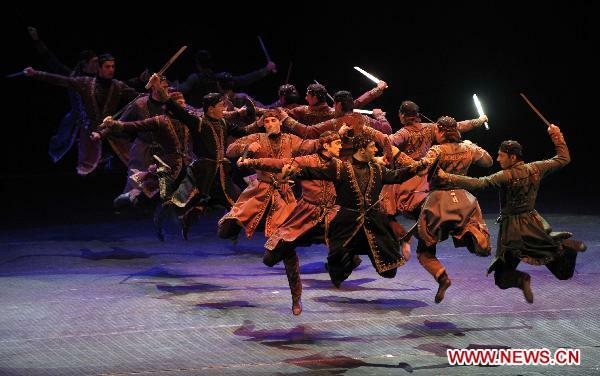 Over the course of its existence, the festival has acquired great importance for the entire South Caucasus region. The festival's aim is to introduce filmgoers to new film products of a high artistic quality, highlight new trends in film and facilitate the development of Georgian film industry. The central and most important part of the festival is the competition for best debut and sophomore full-length feature films by young directors. 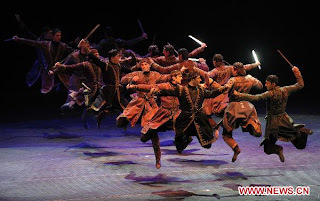 The competing films will be assessed by three juries: International Jury (five members) will award the prize for best film and best director; Parajanov Jury (three members) will award the Parajanov Prize for outstanding poetic vision; and the FIPRESCI Jury (three members) will award the International Federation of Film Critics Prize. also: premieres, a retrospective, special showings and master classes. Over the years many important representatives of the film world have visited the festival, including: Bob Rafelson, Mike Lee, Krzysztof Zanus, Vanessa Redgrave, Bruno Dumont, Hugh Hudson, Renny Bartlett, Frank Rodham, Helma Zanders-Brams, Ulrike Ottinger, Mika Kaurismäki, Joe Wright, Franco Nero, Maryam D'Abo, Sergey Solovyev and Yesim Ustaoglu. Also taking part have been Georgian filmmakers based abroad such as Otar Iosseliani, Mikheil Kobakhidze, Irakli Kvirikadze, Nana Jorjadze, Nino Kirtadze, Mikheil Kalatozishvili, Dito Tsintsadze and Merab Ninidze. Over the past ten years the festival has found many friends and partners both in Georgia and abroad, including: film critics Erika and Ulrich Gregor (founders of the New Film Forum at the Berlin International Film Festival), Peter Scarlett (executive director of the Tribeca Film Festival); ambassadors accredited in Georgia; the Goethe Institute in Georgia and the Dumas French Culture Centre. International publications such as the Hollywood Reporter and Screen Daily also work with the festival. In a bid to promote Georgia's profile in world markets and attract tourists and investors, Tbilisi has signed a deal with the global music entertainment network MTV for a high-octane concert to be televised worldwide, a source close to the negotiations has confirmed to EurasiaNet.org. The concert, tentatively planned for May or June 2011, will be held in the Black Sea resort town of Batumi, according to Georgian Tourism Department Director Maia Sidamonidze. 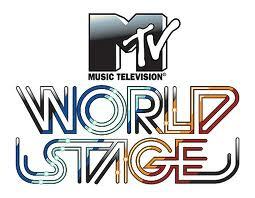 The performance will take place under the auspices of MTV Impact, a division of the network that uses concerts to expand MTV's reach in developing countries, with the pledge to use the MTV brand to encourage economic growth. Pop stars like Lady Gaga and the Black Eyed Peas have headlined similar MTV events in the past, attracting tens of thousands of fans to far-off destinations like Malta where the annual The Isle of MTV Malta festival reportedly brought in over 50,000 concert-goers. As many as 60,000 people could attend the Georgia event, parties involved in the negotiations estimate. A mixture of state funding and corporate sponsors will cover the concert's estimated $2-million-plus price tag. A spokesperson for MTV only commented to EurasiaNet.org that the company had identified Georgia for "a strategic alliance." The MTV deal, though, is not the first time Tbilisi has turned to the celebrity music scene to trade positive publicity for any lingering images of its 2008 war with Russia. The strategy, though, has not always gone according to plan. In September, the Georgian government unceremoniously backed out of an oral agreement with the New York Philharmonic for a concert in Tbilisi; a misunderstanding over costs was blamed for the canceled plans. With an eye to MTV's huge potential television audience, the government is keen to make sure that a similar embarrassment does not happen again. Sidamonidze told EurasiaNet.org that officials are doing everything possible to make the event a success. "It is a huge responsibility, I understand, but I don't think we realize how huge of an opportunity for Georgia in terms of creating awareness of the country [it will be]," she said. "[I]f we are organized enough, if we start our organization and preparation work far in advance, I think we should be able to do it." But significant logistical challenges remain. While Batumi has long been aggressively promoted as the star of President Mikheil Saakashvili's tourism strategy for Georgia, the city and the surrounding region are still under-developed; basic infrastructure problems , including poor roads and periodic electricity blackouts, persist. So far, though, the drawbacks appear to faze neither side. The Georgian Tourism Department is preparing a list of acceptable accommodation sites around Batumi, and will hold training sessions on hospitality skills for Batumi restaurant and hotel staff. The government will also work with private companies to organize shuttle buses to the event from local hotels, Sidamonidze said. MTV is also advising the Georgian government on how to prepare for the concert, Sidamonidze added; executives from the channel's Networks International division traveled to Batumi in November to assess the location. Local event planner Eastern Promotions, which has handled technical preparations for large-scale outdoor concerts in the past, will work with MTV on concert logistics. Works within construction of the Baku-Tbilisi-Kars (BTK) railway are carried out in accordance with the schedule, the chief engineer of Azerbaijan Railways JSC Gurban Nazirov said. "The work is carried out both on the territory of Georgia and Turkey. The project work is being done according to schedule," said Nazirov. 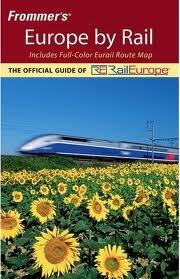 Nazirov said that the railway will be put into operation by the end of 2011. The project has already determined the winner of the tender for the construction of the railway station Akhalkalaki in Georgia. The winner of the tender was the Azerbaijani Kontur architectural design and industrial company. Construction of the Akhalkalaki station is scheduled to begin in 2010 and completed in 2011. A new 105-kilometer-branch of railway is planned to be constructed within the Baku-Tbilisi-Kars project; 76 kilometers will stretch through Turkey and 29 kilometers through Georgia. Moreover, a 183-kilometer section of railways - Akhalkalaki-Marabda-Tbilisi - will be reconstructed in Georgia to increase capacity to up to 15 million tons of freight per year. A train transition station, changing trains from the existing tracks in Georgia to European tracks is planned to be constructed in Akhalkalaki. 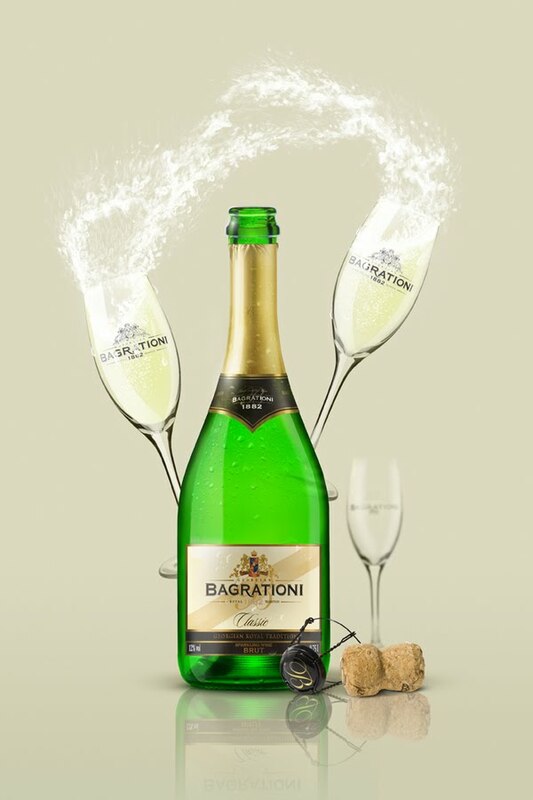 Bagrationi 1882 is the first and only Georgian sparkling wine sold in the United States. 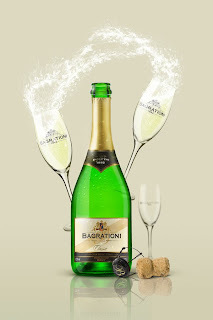 Bagrationi 1882, a historic sparkling wine producer from the country of Georgia in the Black Sea region of Eastern Europe, has announced its entrance into the U.S. wine market. For the first time in the New World, wine enthusiasts can now experience these unique sparkling wines from the very place where winemaking was born. With the introduction of Bagrationi 1882, wine consumers in America can now enjoy the favorite sparkling wine from the world's oldest wine growing region. • Assists Public Affairs Section (PAS) staff according to current needs and activities as per the information above. 77 percent of Tbilisi's population thinks that the Georgian government has been "effective" or "extremely" effective in fighting corruption, according to a survey released by Transparency International Georgia on December 9. The survey, conducted in frames of Global Corruption Barometer 2010, reflects the opinion of people in 86 countries around the world. The public opinion poll was conducted by Gobi between June 15 and 24 and 500 residents of Tbilisi were interviewed. According to TI Georgia, compared to other countries included in the poll, Georgia has the highest rate of respondents saying that the government's actions to fight corruption have been "effective" or "extremely effective." At the same time, Georgia has the highest rate of people stating that corruption has "decreased a lot" or "decreased" during the last three years (78 percent of interviewees in Georgia, compared to the 48 percent of the runner up Kenya). TI Georgia reported that only 9 percent of the people surveyed said that corruption has increased (a lot) in the past three years in Georgia. The survey has shown that 56 percent of respondents in Tbilisi see the government as the most trusted institution in combating corruption in the country, while only 2 percent named the media as the most trusted in this respect. 1.6 percent of the participants of the public opinion poll believed the private sector could play this role, TI Georgia reported. Eka Gigauri, Executive Director of Transparency International Georgia said the public's view on corruption is important, as they show how corruption affects the lives of people in Georgia and around the world. "If we compare the results of the 2010 survey to results from 2004, we see that citizens' trust in institutions such as the police, the military, parliament, political parties, the media, the church, NGOs and the private sector has increased. However, political parties and the judiciary remain the institutions that are perceived as most corrupt," she noted. Russian Wikileaks http://ruleaks.net/ reports about a meeting that held between the President of Belarus Alexander Lukashenko and the Foreign Minister of Estonia Urmas Paet in October 2009. Assuring Paet that Estonia has never been his enemy, Lukashenko has spent much of this 90-minute meeting, attacking Russia and claiming that Minsk might be forced by Russia to recognize independence of so-called South Ossetia and Abkhazia, (Georgian territories occupied by Russia) by this winter in exchange for cheap gas from Russia, and that Russia provoked war in Georgia. However, the Belarusian leader also said that he was trying to refrain from making public pro-Georgian actions. He was invited by the President of Georgia Mikheil Saakashvili to visit Georgia, but Lukashenko decided not to go as he did not want to annoy Kremlin". In addition, as noted by the portal from the conversation it is obvious that Lukashenko refused to recognize independence of Abkhazia and South Ossetia expecting the EU support. 5 Days Of August (formerly Red August and Georgia) is an upcoming Hollywood film project about the Russia-Georgia conflict which turned into the 2008 war in August, 2008. As a result of this war, Russia occupied 20% of Georgian territory. More than 70,000 became refugees on their own land. Director and co-producer of this project is the Finnish-American film director and producer Renny Harlin. Filming started in October, 2009, in Tbilisi, the capital of Georgia. The Georgian Military provided military equipment, uniforms, tanks, and helicopters. Georgian President Mikheil Saakashvili allowed use of his Presidential residence for filming. Andy García plays the role of Saakashvili; Emmanuelle Chriqui plays Tatia, a young Georgian girl; Rupert Friend plays Thomas Anders, an American reporter; and Johnathon Schaech plays Rezo Avaliani, a young Georgian officer. In addition, Val Kilmer plays a Dutch journalist working in Georgia. Tbilisi is in close military cooperation with the United States, but wants more relations in this sphere, Giorgi Baramidze, the Georgian deputy PM and state minister for Euro-Atlantic integration, stated on December 15. "We can not go into details of this matter now... But it's not the case that absolutely everything has been suspended. We want more relations with the U.S. in the sphere of strengthening our defense capabilities. I can not say more about this issue publicly, because this is a very delicate issue, which we do not want our enemies to know... It concerns sensitive issues, so I would not go further into details," Baramidze said. He also said that he had raised this issue, among others, during his meetings with U.S. officials in Washington, including with Assistant Secretary of Defense for International Security Affairs Alexander Vershbow. There are people in the United States who also frequently underline the importance of providing Georgia with defensive weapons and appeal to the President Obama to do this, "For starters, we need to resume the sale of defensive arms to Georgia. Our allies in central and eastern Europe view Georgia as a test case of whether the United States will stand by them or not. 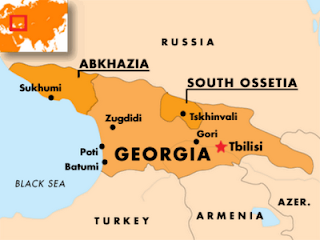 Russia views Georgia as a test case, too – of how much it can get away with in Georgia. It is the policy of our government to support Georgia's aspiration to join NATO. And yet for two years, mostly out of deference to Russia, defensive arms sales have not been authorized for Georgia. This has to change. At a minimum we should provide Georgia with early warning radars and other basic capabilities to strengthen its defenses," US Republican Senator, John McCain has stated. The Russian attitude concerning the issue is well known, Russian officials consider that the United States should not provide Georgia with any kinds of weapons. As military analyst and Editor in Chief of Military –Political magazine Arsenali, Irakli Aladashvili told The Messenger, "Leader of republicans, John McCain, frequently points out the importance of giving defensive weapons to Georgia, which would be the sign that the United States is not giving up on Georgia. Radars and systems like this are in most country's armament and there is nothing unusual if Georgia wants to purchase these kinds of weapons, especially when there is no international prohibition of selling weapons to Georgia. However there is another purely political factor. Based on Obama's reset policy towards Russia, America avoids irritating this country and avoids making such steps as providing Georgia with weapons. Negotiations on the issue between the United States and Georgian officials are ongoing; of course the details would not be made public. However, based on the present reality I am doubtful that America will send us those weapons." Apicturesquenature, landscapes Great Caucasian Ridge, subtropical zone of the Black Sea, rivers and waterfalls, cave towns, resorts and mineral springs, urbanized cities and settlements, and traditional Georgian hospitality make Georgia the country of tourism. Georgia is a fabulous ancient country, eternal enigma for foreign visitors, one of which was Jason together with his Argonauts, who escaped the wrath of the King Ayetes together with beautiful Medea and The Golden Fleece. Time cannot change spirit of adventure that awaits you in this mystical land, where East meets West and you admire natural interlacing of oriental mystique and western elegance. Many travelers begin exploring Georgia with a visit to Tbilisi. Tbilisi is Georgia's historic capital city, and has been the capital since the 6th century A.D. It was named for the hot springs that abound in the area, as the word "Tpili" means 'warm' in Georgian. Tbilisi is the largest city in the country, with over one million inhabitants and is situated in the beautiful Mtkvari River Valley. Being a main cultural, industrial, and social center of Georgia, it typifies the blend of cultures seen across the country, with a mix of architectural styles and inhabitants. The city's climate is influenced both by dry (Central Asian/Siberian) air masses from the east and humid subtropical (Atlantic/Black Sea) air masses from the west. Tbilisi experiences relatively cold winters and hot summers. 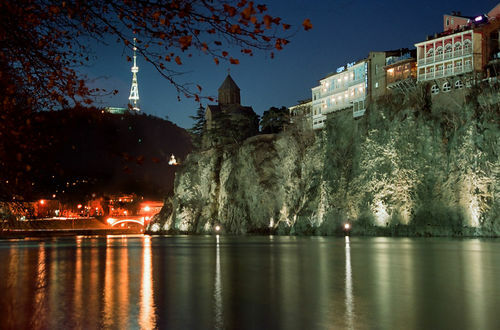 The average annual temperature in Tbilisi is 12.7 °C (54.9 °F). January is the coldest month with an average temperature of 0.9 °C (33.6 °F). July is the hottest month with an average temperature of 24.4 °C (75.9 °F). From May 24 until June 5, the Georgian rugby stadiums of Shevardeni and Avchala will host the junior Rugby World Trophy tournament. International Rugby Board authorities took this decision after visiting Georgia on November 18-19. The delegation got acquainted with the facilities Georgia could provide to the tournament and the delegation has approved the government plans and contributions towards organizing the event. Georgia will be hosting a tournament at this level for the first time. It is significant that the winner of this tournament will qualify for participation in the 2012 Junior World Championship in Italy. The Georgian Ministry of Sport and Youth Affairs support the event. The Georgian Rugby Union is doing its best to make sure that the event runs successfully. The tournament will attract youth national teams from Georgia, Russia, Japan, US, Canada, Uruguay, Zimbabwe and Samoa.